Bank Tech Budgets - How Do You Compare? Summary: Tech budgets for banks are increasing, as fast-paced developments continue. Compare your budget and tech strategy to that of your peers. In technology news out there, it seems an analyst at Goldman Sachs estimates Google will pay Apple $9B this year for the privilege of being the default search engine in the Safari web browser on the iPhone. If true, that would equate to roughly $10 per iPhone user. That is something to think about. While not on such a huge scale, community bankers too have much to think about when it comes to technology. Here, almost half of the senior executives and directors responding to Bank Director's 2018 Technology Survey say their bank's technology budget increased between 5% and 10% for fiscal year 2018 and almost 33% saw an increase of more than 10%. The annual survey, sponsored by CDW, polled 161 directors, chief executive officers, high-level technology executives and other senior executives at banks with more than $250MM in assets. As banks become even more reliant on technology, many are recognizing the need to incorporate it into their overall strategy. Consider that 63% of respondents said their board needed to better understand how to tie technology to bank strategy, and 60% said the board should better understand how the bank should invest in it too. Certainly, directors are focusing more on technology today than they were even 2Ys ago. For example, 50% of respondents said their board focuses on technology at every board meeting, up from 42% two years ago. While banks have been making technological strides, there's still room for improvement. This is particularly true in the areas of data analytics and business process automation. Another survey found that automation is an area mortgage lenders are particularly focused on. One in four lenders will focus on improving analytics and data intelligence in the next 24 months, according to a recent survey conducted by SourceMedia and sponsored by Equifax. Notably, 60% of respondents to the Bank Director survey said their management team and board are open to working with newer technology startups, but that falls to 52% for banks in the $500mm to $1B range. The same Bank Director survey also found the typical bank works with a median of seven technology vendors, including its core processor, while banks in the $500mm to $1B range were a median of eight. Not surprisingly, the most-often cited technology goal for banks of all sizes is improving the user experience for mobile and online channels, amid greater customer demand. 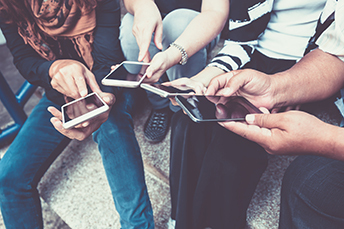 Here we look to a recent Fiserv survey that found consumer use of online bill pay grew steadily from a year earlier, with 59% of consumers claiming to use it. Consumers are also becoming more avid users of digital wallets, P2P payments and mobile bill pay. According to Fiserv, digital wallet use rose 53% from the year-earlier, mobile bill pay rose 48% and the use of P2P services provided by a financial institution climbed 44%. This sets the stage for more investment by banks in these developing areas. As you think about where to spend your technology dollars this year and next, the key is to set priorities first. It's a good time to consider these important issues. Fed Chicago President Evans said the economy is "running on all cylinders" and no longer needs unconventional tools to support it. WeWork has now passed JPMorgan as the top office space tenant in New York City, according to Cushman & Wakefield. The shift shows a massive change in how people work and is beginning to impact business lending activity as well. CBRE reports flexible space accounted for 12% of leasing activity in Manhattan in the first half of 2018. Regulators are looking to make changes to the call report to handle banks that early adopt the current expected credit loss model (CECL). Banks can adopt as early as next year. Wells Fargo announced it will lay off 10% of its workforce over the next 3Ys, as it adjusts to changing customer behaviors, strengthens risk management and simplifies the company.